censorship and intellectual property disputes. If it can work for journalism, why not anime art? It might sound more frivolous but given the concern that artists always have for art theft, applying the technology to enforce appropriate credits and ownership will be quite a boon to artists. Recently after unveiling the new mascot, we have received some incredible fan art of Anico! 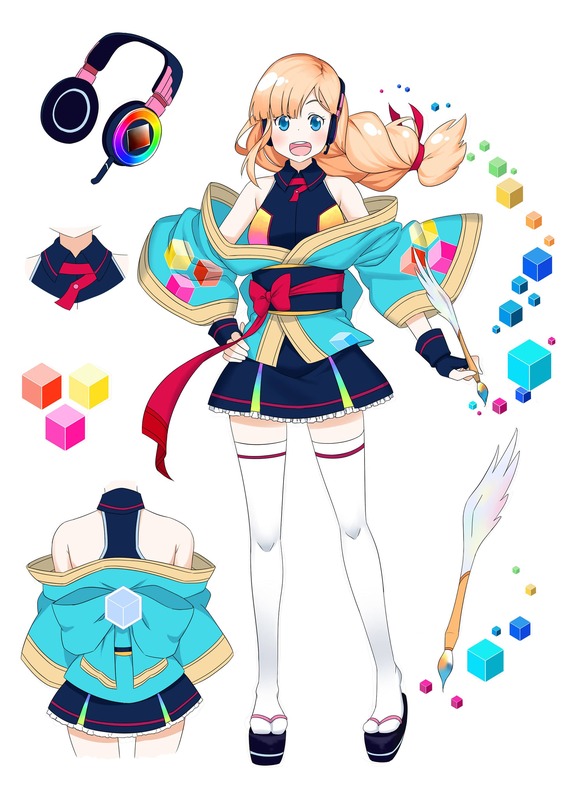 The fans have been very supportive of the new mascot and we have seen a huge increase in activity on our Facebook page as well as the official AnimeCoin Discord. If you make a fan art of the mascot, please feel free to message it to us on our social channels or submit it to the art channels in Discord! Her name of course, is Anico! Collateral Damage Studios has been incredible in helping us get our new branding and mascot on point! Feel free to follow them on social and reach out if you have any projects!